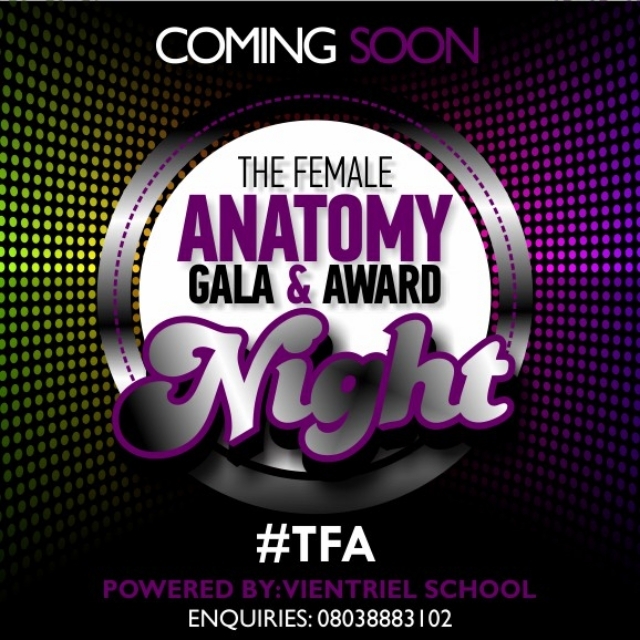 THE FEMALE ANATOMY Presents GALA & AWARD DINNER IN ABUJA . It will be a night of Awards, Certificates and presentation of equipment for some students to get their lives started are a few highlights of will take place that evening.. There will also be Music and Comedy, Inspirational talks on encouraging the Female gender and exhibition of art appreciating the Female for who they are..
Venue Dennis Hotel, Wuse 2, Abuja. Red Carpet starts 4pm prompt.